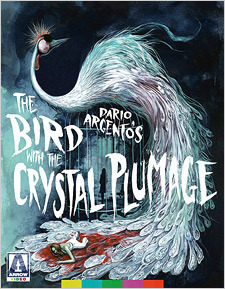 An impressive debut from one of horror’s most respected names, Dario Argento’s The Bird with the Crystal Plumage (L’uccello dalle piume di cristallo) was released in 1970 and quickly established itself as one of the best entries into the giallo subgenre, while also becoming the cliché based upon the many others that followed. It’s his best film in a lot of ways, but trying to pick one over the other during his initial 10 film run is a challenge unto itself. Pure in its approach, it’s unsurprising that Argento chose to go in much bolder and more expressive directions. I sometimes forget how meticulously well-made The Bird with the Crystal Plumage is when I revisit it. It’s taut and suspenseful, and despite knowing the eventual outcome, I can’t help but get caught up in it. It’s a testament to how well-constructed it is and how good its performances are. I would even argue that some of his other, more popular works don’t quite affect me in the same way. Unlike the brutally violent and overtly artistic films of his career later, The Bird with the Crystal Plumage is more of a thriller where the bloodshed is implied more than actually shown in graphic detail. But what the film signaled upon its arrival was an artist willing to explore the frame in a more daring fashion. Simply put, the film is a masterstroke – and there’s no finer point than that. Arrow Video’s Blu-ray release features a new 4K restoration from the original camera negative, and in my opinion, the results are spectacular. I actually did some screen grabs of the 2009 Blue Underground Blu-ray and this release just for comparison’s sake, and it was abundantly clear which was the better presentation. Right off the bat, the framing appears to be more accurate and less stretched than before. It also features a strong encode and an even grain structure throughout, the latter being less prominent in the previous transfer. Excellent fine detail is on display, even in backgrounds, while texturing on surfaces, clothing, and faces is much more abundant. It has a slightly soft look to it, which has always been present, but it’s sharper and clearer than ever before. Strong color reproduction is also on display, with primaries given the most attention, while skin tones appear much warmer than before. Black levels are remarkably improved and are quite deep with more satisfactory shadow detail (rather appearing noisy). Overall contrast and brightness levels are also improved, managing to not look quite as blown out as before. It’s also a clean and stable presentation with next to no film artifacts leftover. It’s worth noting that the Titanus shield logo opening is now in front of the movie. It’s also worth reiterating that screen captures don’t do this transfer justice – seeing it in motion makes that abundantly clear. It’s a wonderful transfer. Audio options include English and Italian mono 2.0 DTS-HD tracks. Both are solid and are much more robust than I was expecting. 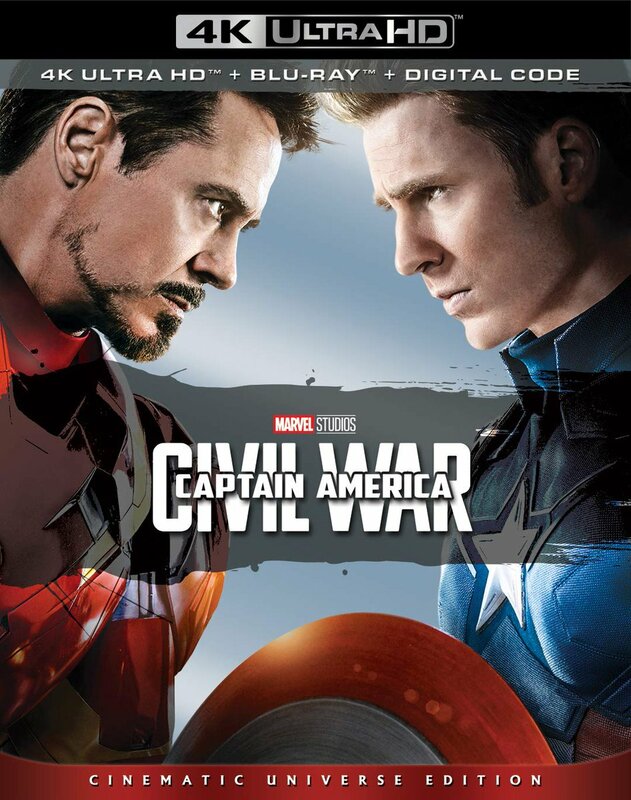 They’re both very crisp and clear soundtracks with clean dialogue and have an ample amount of breathing room for both the score and sound effects. The score, in particularly, has a more round quality than I was expecting. Regardless of which option you choose, either will be pleasant. Optional subtitles in English SDH are also included. When it comes to the film’s extras, most of the interview and featurette material is brand new. However, there is an enormous amount of material from the film’s various Blu-ray releases in various regions that are not present, which I’ll get into in a moment. What you do get with this release is an audio commentary with author Troy Howarth; Black Gloves and Screaming Mimis – an interview with film critic Kat Ellinger; The Power of Perception – a visual essay by author Alexandra Heller-Nicholas; Crystal Nightmare – an interview with Dario Argento; An Argento Icon – an interview with actor Gildo Di Marco; Eva’s Talking – an archival interview with actress Eva Renzi; the Italian, international, and 2017 Texas Frightmare trailers for the movie; a DVD copy; 6 Italian lobby card reproductions; a double-side poster; and a 38-page booklet with essays on the film by Michael Mackenzie, Howard Hughes, and Jack Seabrook – all housed within nice, thick cardboard packaging. One thing is clear: Arrow’s overall presentation of this release is fantastic, and will definitely look good on one’s shelf. On the other hand, the disconcerting thing for collectors here is going to be the extras. Missing from the Blue Underground Blu-ray from 2009 is an audio commentary with journalists Alan Jones and Kim Newman, Out of the Shadows – an interview with Dario Argento, Painting with Darkness – an interview with cinematographer Vittorio Storaro, The Music of Murder – an interview with Ennio Morricone, and two TV spots. It also contained four additional audio tracks, English 7.1 DTS-HD, English 7.1 TrueHD, English 5.1 Dolby Digital Surround EX, and Italian 5.1 Dolby Digital Surround EX. Missing from Arrow Video’s previous Blu-ray from 2011 are three featurettes: The Italian Hitchcock: Dario Argento Remembers The Bird with the Crystal Plumage, A Crystal Classic: Luigi Cozzi Remembers Dario’s Bloody Bird, and Sergio Martino: The Genesis of the Giallo, as well as an insert booklet with an essay on the film by Alan Jones. Missing from the VCI Blu-ray from 2013 is the film’s soundtrack presented as an audio supplement. Missing from the Koch Media Blu-ray from 2015 is an audio commentary by Marcus Stiglegger, the German theatrical trailer, a still gallery, the German theatrical version of the film, and an interview with Mario Adorf. Obviously, not ALL of this material could have been included, but it’s certainly strange that Arrow chose to ignore their previous supplements outside of one interview. And just to make it a more complete package, it would’ve been nice to have had a CD soundtrack included as well. Complaining about the lack of supplements here seems a bit childish in the scheme of things. With Arrow Video’s release of The Bird with the Crystal Plumage, we get the finest A/V presentation available in a very handsome package. You should definitely hang onto any of those previous releases if you want everything, but this Blu-ray is a definitely a must-own if you’re a fan.